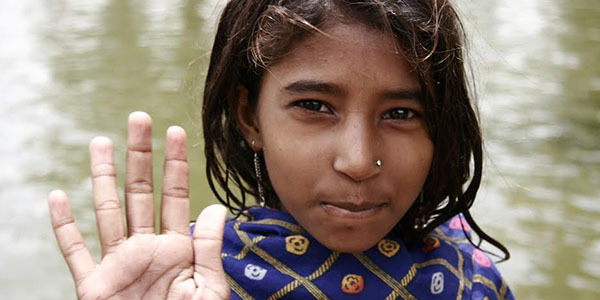 Join us in calling on world leaders to step up and meet the need for women’s health. On his first full day in office, the US President signed an executive order reimposing and expanding the “Global Gag Rule”, a policy that has been in place under many Republican White Houses. The rule strips over USD $600 million in funding for women’s health programs around the world. 6 weeks ago I became a dad to a beautiful baby boy. But the poor little guy was, like up to 1 in 10 other babies in the UK, born with his tongue tied. My partner Scott and I should have been sharing our son Edward Gili’s first birthday last month. But instead of having that exciting first year to celebrate and many more to look forward to, we had just 9 precious days to spend with our beautiful son. Edward was cruelly taken from us as a result of contracting group B Strep infection at birth. On average, one newborn baby a day in the UK develops group B Strep infection. One baby a week dies from group B Strep infection. One baby a fortnight who survives the infection is left with long-term disabilities – physical, mental or both. It is the UK’s most common cause of severe bacterial infection in newborn babies, and of meningitis in babies under 3 months. As you may know, I launched a petition a few weeks ago regarding a scheme in which GP’s are rewarded for diagnosing certain conditions over others. It’s an unethical, immoral and unsafe practice – encouraging doctors financially to diagnose one condition over another can only lead to misdiagnosis, ill health and potential deaths. Most people aren’t even aware of this system. Thank you for your request of 20th December 2015 under the Freedom of Information Act (2000). I can confirm that the Department holds some information relevant to your request. However, as the information held by the Department is in the public domain, we will under Section 21 of the FOI Act (information accessible to the applicant by other means) refer you to the published source. The Quality and Outcomes Framework (QOF) is a voluntary incentive scheme for GP practices in the UK. The QOF rewards contractors for the provision of quality care and helps to standardise improvements in the delivery of primary medical services. The QOF contains groups of indicators, against which practices score points according to their level of achievement. Practices aim to deliver high quality care across a range of areas, for which they score points. The higher the score, the higher the financial reward for the practice. The final payment is adjusted to take account of the practice list size and disease prevalence. The results are published annually and the indicators are reviewed, with some being retired and new ones added. Details of the indicators and the performance of participating practices can be found on the Health and Social Care Information Centre’s website at http://www.hscic.gov.uk/qof. I will be sending a request direct to NHS England also, with the same request for information, I will let you know what their response is. I find it so wrong that the very people who spend so many years training to save lives, would wish to be part of a scheme which is so dangerous. The claim is that this scheme will enourage GPs to better treat their patients and improve overall health but how can this be so? If a patient comes in with ten symptoms and is immediately judged by the fact they look overweight, how can that help them? They could have any one of a million medical conditions, but the immediate diagnosis is ‘overweight’. Which conveniently nets the GP £160. I myself was diagnosed as overweight, diabetic and depressed – a nice payment of £480 to the GPs – and I am not any of those things, I actually have an entirely unconnected medical condition! And I know of many other people who have been misdiagnosed in the same way. This system is seriously flawed, and leaves patients at risk of health complications, further illness or injury, or death. So please sign this petition, and share it on all your social networks, email to your colleagues, friends and family. Let’s get this system reviewed and overhauled – let’s make sure that if there has to be an incentive for GP’s to treat us, that the incentive is to make us well, and not for their own financial gain. Please read and sign the petition here. Unfortunately I haven’t posted for a while, as I have been quite ill, but during this time something I was previously unaware of has come to light. I sign and post a lot of petitions, as you know, but this is the first time I have felt so strongly about something I have felt the need to start my own petition. Please read and sign the petition if you are in the UK, and share it widely. Thank you in advance for your support. Most people are completely unaware that their GP will receive financial rewards for meeting targets of diagnosing certain conditions – a bonus of £160.15 in 2015/16. While rewarding GP practices for doing a good job and helping patients is of course a good thing, rewarding them financially to diagnose and treat certain conditions over others is wrong. The official text of this scheme is : The Quality and Outcomes Framework (QOF) is the annual reward and incentive programme detailing GP practice achievement results. It rewards practices for the provision of quality care and helps standardise improvement in the delivery of primary medical services (source: http://www.hscic.gov.uk/qof). Each diagnosis gains a point, and in 2015/2016 thats worth £160.15 in England (source: www.nhsemployers.org/your-workforce/primary-care-contacts/general-medical-services/quality-and-outcomes-framework). This system needs to be investigated, reviewed and overhauled to offer better care to patients, instead of financial rewards to GP’s for only diagnosing certain conditions. I have spoken to many people who have seen their GP with serious medical conditions, only to be told they are depressed or overweight – both of these conditions merits the above award – and offered anti-depressants or a referral to a dietician. Offering anti-depressants to someone who is not depressed is dangerous in itself, but labelling someone as depressed instead of treating their serious illness is tantamount to neglect, and could cost lives. This system is seriously flawed, and needs to be reviewed urgently. Since I launched the above petition, I have had many emails about other NHS financial reward schemes, with bonuses ranging from tens of pounds to thousands of pounds. I have submitted a Freedom of Information Act to the Department for Health asking for information on any and all financial reward schemes – I will post the information here when I receive it. People in the UK pay taxes their whole life towards the NHS, and when they turn to it in need of medical help they shouldnt be worried that the medical professionals aren’t acting in their best interests. Please visit the petition website at https://petition.parliament.uk/petitions/116543 and sign, if you are in the UK, and share it on your social networks. via Petition · Jeremy Hunt: Help my daughter get the drugs she needs to live · Change.org. Help my daughter get the drugs she needs to live. Bethany, is a nine year old and one of the bravest people I know. Although I would say that – I am her father! Bethany has a rare genetic condition. She has tumours on her brain, liver and right kidney. She suffers epileptic fits up to 50 times a day, suffers insomnia and has learning difficulties.It’s heartbreaking and the drugs she is on are not working. Her doctors say the anti-cancer drug Everolimus will work and clinical trials prove this.But NHS red-tape means Bethany has been denied funding for the drug. via Petition | BRING CLAIRE, WHO HAS AUTISM AND CHALLENGING BEHAVIOUR, BACK HOME TO US IN SWANSEA, WALES WHERE SHE WANTS TO BE WITH US, HER FAMILY. | Change.org. Our daughter Claire, 20, has autism. Sometimes, when Claire is anxious or stressed her behaviour can deteriorate and last year the hospital unit she was in placed her on section 3 under the Mental Health Act. Despite her not staying with us she could still see us when she wanted, and she came home to us 262 times out of 325 days where we accessed the community and we took her swimming, ate out together and she loved playing with her puppy Jonjo. She even did the Race for Life on July 27th in Swansea. It’s not always been easy but she was close to us and happy to be able to come home as regularly as she could. She and her sister and brother had a fantastic relationship here, and all care so much for each other. At the end of July we received some news which would rip our family apart. The health board said that they didn’t have the facilities to care for Claire in Swansea anymore and moved her over 200 miles away to a unit in Brighton – that’s why we have this petition to get Claire back home in Swansea, close to her family. It now takes us over five hours each-way to visit Claire. When we get there we are just allowed a two-hour supervised visit. It is upsetting, heartbreaking and completely exhausting, especially for Claire’s brother and sister. 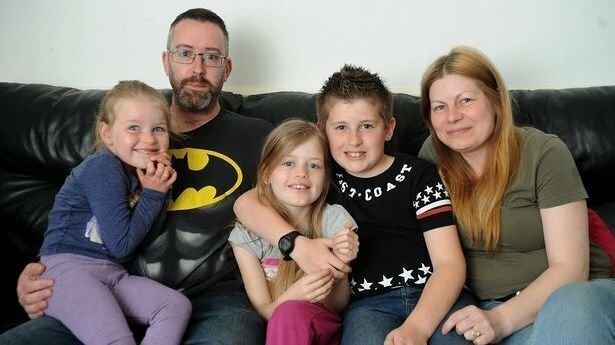 Read more and sign : Petition | BRING CLAIRE, WHO HAS AUTISM AND CHALLENGING BEHAVIOUR, BACK HOME TO US IN SWANSEA, WALES WHERE SHE WANTS TO BE WITH US, HER FAMILY. | Change.org.